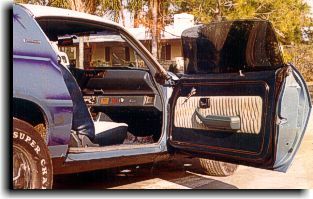 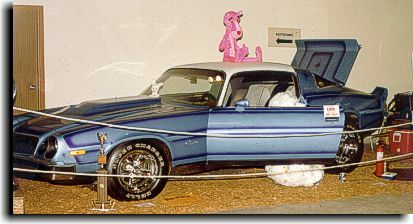 Seats, door panels and package tray was done in this show winning Camaro in 1980. 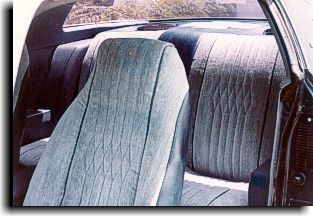 Symmetrically placed diamonds was designed in the blue velour seat facings and door panel inserts using a custom blue vinyl to trim. 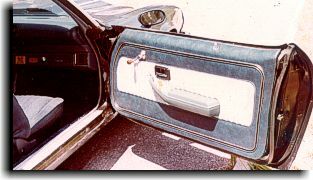 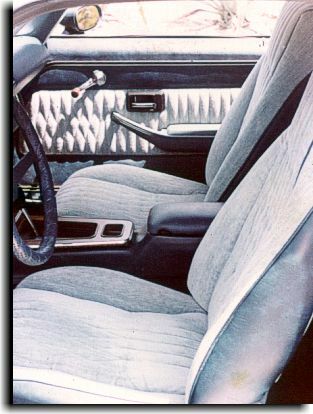 A Chevy emblem in the same cloth was also incorporated into the package tray.